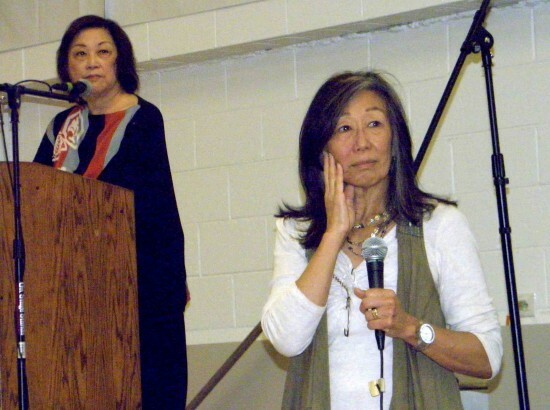 Dr. Marjorie Kagawa Singer (right) of the UCLA School of Public Health and Department of Asian American Studies gave a seminar on “Health Issues in the Japanese American Community” at the Gardena Valley Japanese Cultural Institute on March 2. The event was sponsored by GVJCI, Keiro Senior HealthCare, and Japanese American Historical Society of Southern California, represented by Iku Kiriyama (left). 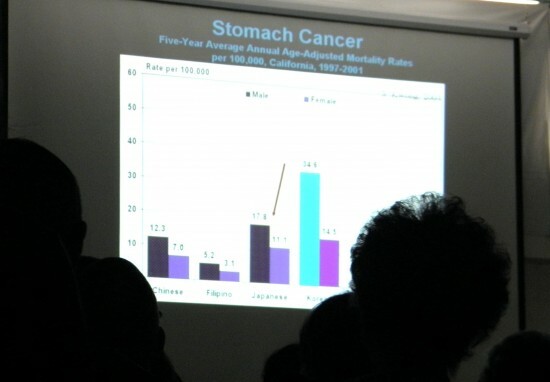 The presentation included studies comparing Japanese Americans with other Asian ethnic groups, and with other racial groups. One study found that Japanese Americans have a higher rate of diabetes than Japanese in Japan, indicating environmental factors, but also have a higher rate of diabetes than Caucasians, suggesting genetic factors.